Silver Plated Paan Shaped Puja Aarti Thali (weight 52 gms) with Motichur Laddu 1/2 Kg. (Gross Weight) from Haldiram. 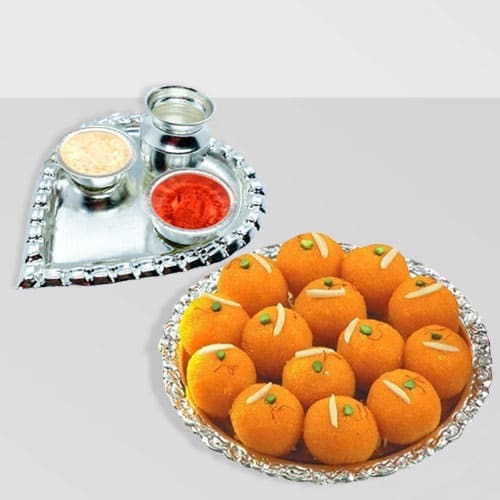 Silver Plated Paan Shaped Puja Aarti Thali (weight 52 gms) with Motichur Laddu 1 Kg. (Gross Weight) from Haldiram.